Are you trying to save a little money when it comes to servicing your car in Clarksville? Take a look at these great car service and maintenance coupons. Keep your car and wallet happy at the same time! Just print one off and bring it in today! Catch Bo Butner, 2017 NHRA Pro Stock World Champion, on raceday, and print this coupon to receive the Bo Butner $1000.00 off the price coupon. We will have you in and out with your new vehicle faster than Bo's quickest pass. Offer valid for 1 purchase per customer. Offer last until the end of the NHRA 2018 Season. Save $1000.00 dollars off any vehicle in inventory by presenting this coupon when you come visit us at Jim Butner Auto Sales in Clarksville, IN. *only valid one time per purchase. Must be presented from buyer. 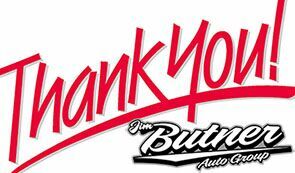 Jim Butner Auto Appreciates YOU! From the bottom of our hearts, we appreciate your dedicated commitment to the Jim Butner Auto family. We know you have many options when it comes to purchasing a vehicle and for continuing to choose us as your dealer, we are proud do give you 1 Free oil change and vehicle diagnosis for any issues. Again thank you for choosing the Jim Butner Auto Group for your transportation needs!